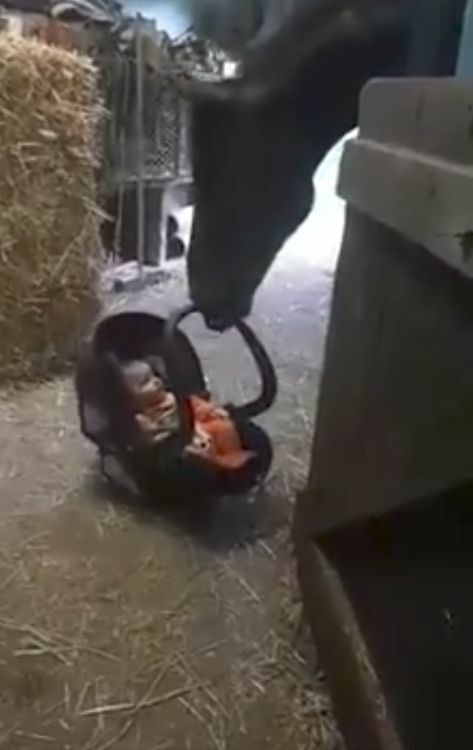 This story is all about a horse and a baby and their rise to viral stardom! 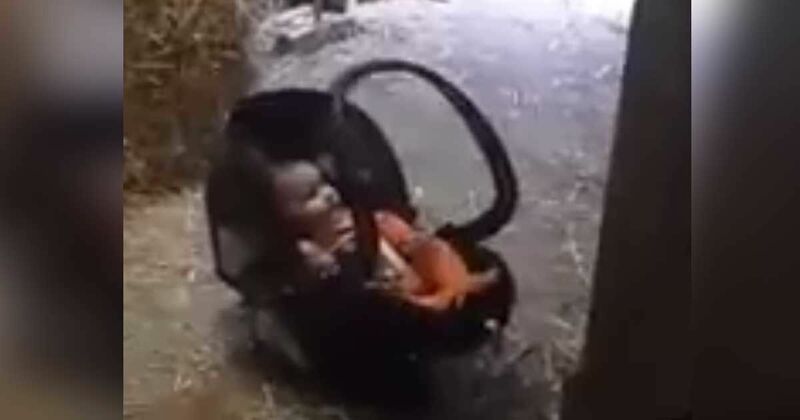 It all started when Tracy Lega took her little one with her into the stable to visit her horse, Donato. After putting the baby down all tucked up snugly in her carrier, she begins to fuss. Donato’s attention is immediately captured. 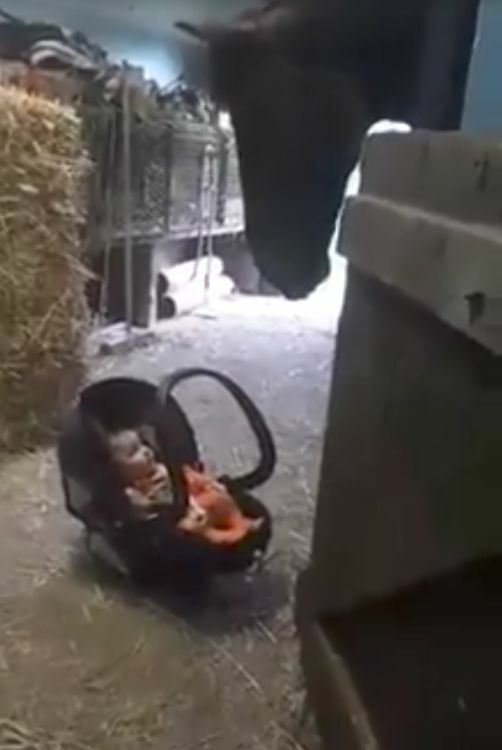 It's no wonder that children are often afraid of animals. They’re bigger and strange looking, and they smell funny too! 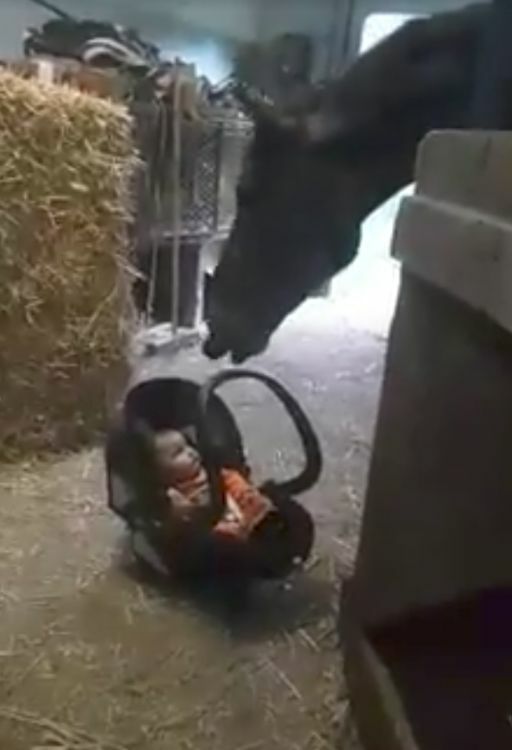 But this baby doesn’t seem to be a bit afraid of the enormous horse towering above her. Donato’s pricked ears show that he is very interested in the small creature in the funny apparatus that moves when he touches it. He reaches down, nudges the carrier’s handle and then backs off to see what will happen. All the while, the baby looks up at Donato fearlessly with curiosity in her eyes. Perhaps she’s wondering what this huge thing is. 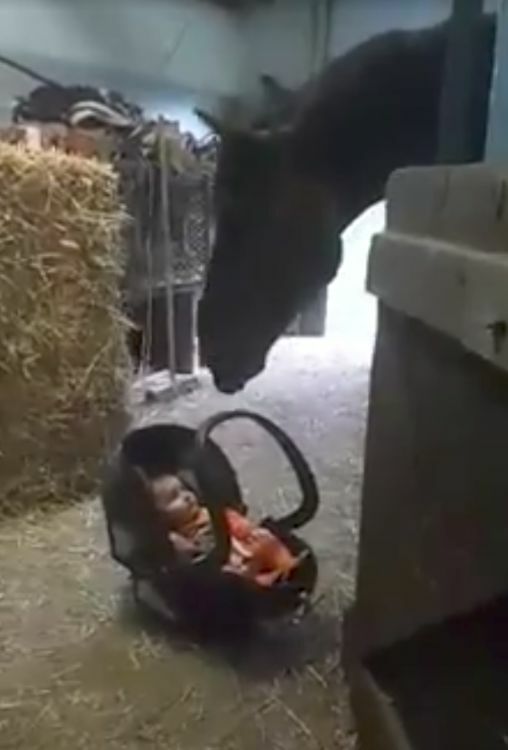 Nevertheless, she seems captivated by the horse. Donato watches the carrier rock. 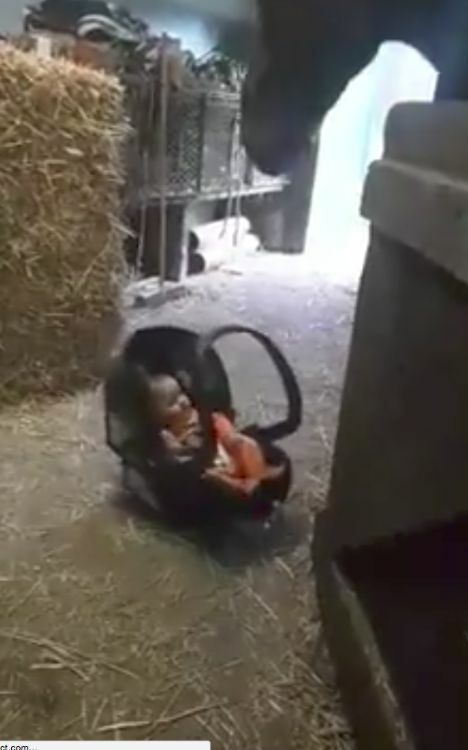 When it stops, the baby cries out for more. Donato obliges, once again lowering his nose to be able to reach the carrier and keep it moving. Rocking the baby seems to be something Donato is intent on doing, as he doesn’t let her start crying and responds immediately to her sounds. 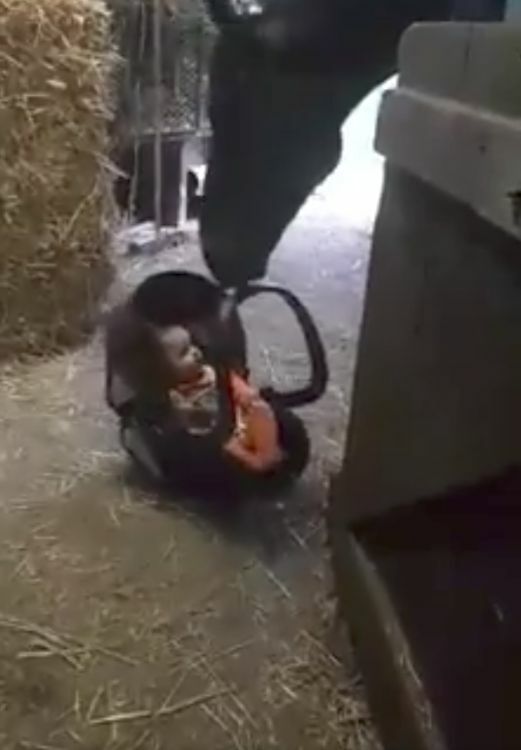 It makes you wonder if Tracy’s little girl will grow up to be an avid horse lover like her mom since she's been exposed so early in life to these majestic animals? 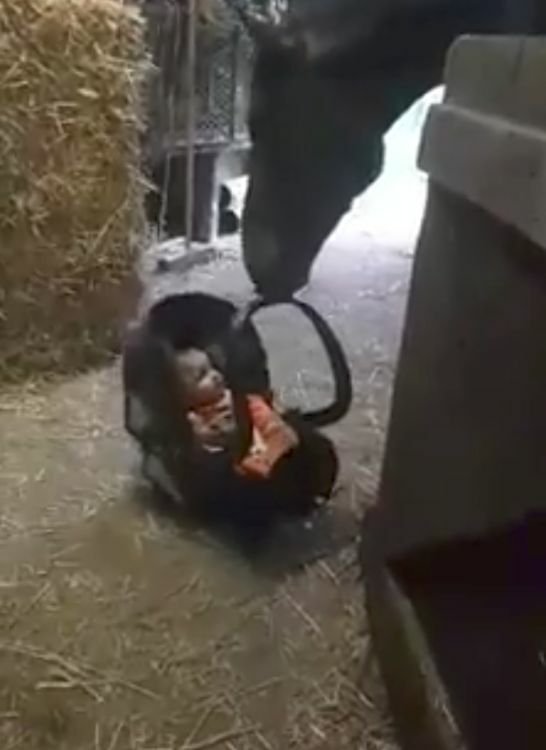 Perhaps one day we’ll see a video of this little one leading her own pony around or riding in an arena. If you’re a horse lover, where did your love begin? Share the video below with your friends who love horses, and use it as a jumping-off spot to share your stories about how you got into horses. It sounds like fun!